Growing up in New York, the Entenmann's brand was the cake of choice to have with coffee. Someone always had the New York Style Crumb Cake in their house - that seemed to be a staple for our family - and if they didn't have that, they had the All Butter Load pound cake. Although the NY Style Crumb was good, I'm not really a fan of powdered sugar so I would occasionally buy the All Butter French Crumb Cake, the regular Crumb Coffee Cake (a favorite of Frank Sinatra! ), or the Ultimate Crumb Cake. ALL are delicious. Oh, and we always called the product Entamans, leaving out that middle "en" sound. I still say it that way. 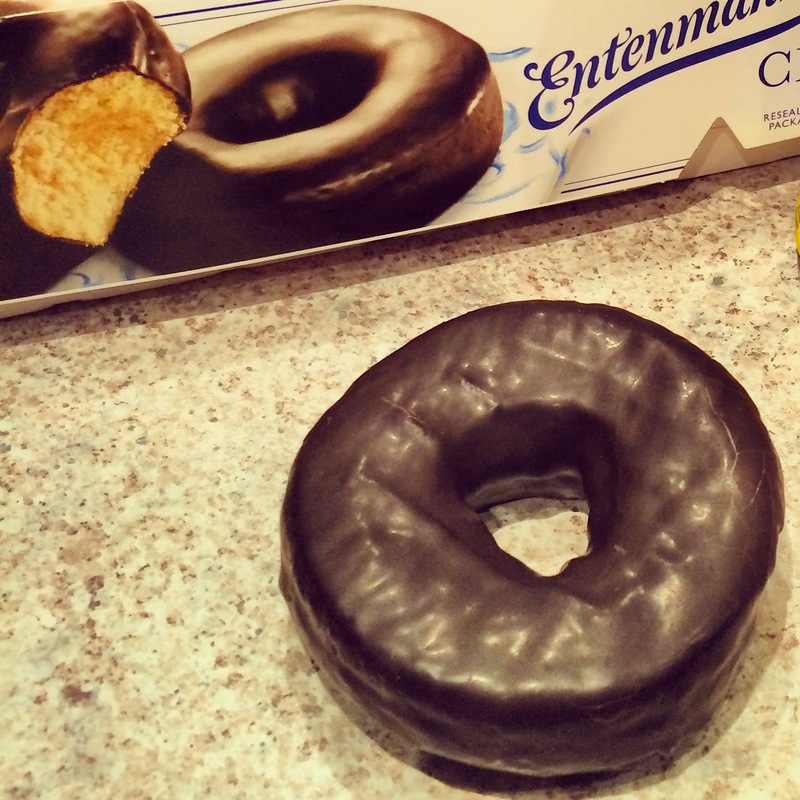 My ultimate favorite - the Entenmann's I'd only get when I slept over my grandparents' house - were the Classic Rich Frosted Donuts pictured above. One of those donuts and a glass of milk would end our evening. For some reason, we never had these at home, so it was a special little event, my Nanny, Poppy, and I sitting at the table having milk and donuts. I'd give my left pinkie for that moment again.